To Wax or Not To Wax Over Chalk Paint? Nothing compares to the soft luster and rich glow of a freshly waxed piece of reLoved furniture!! 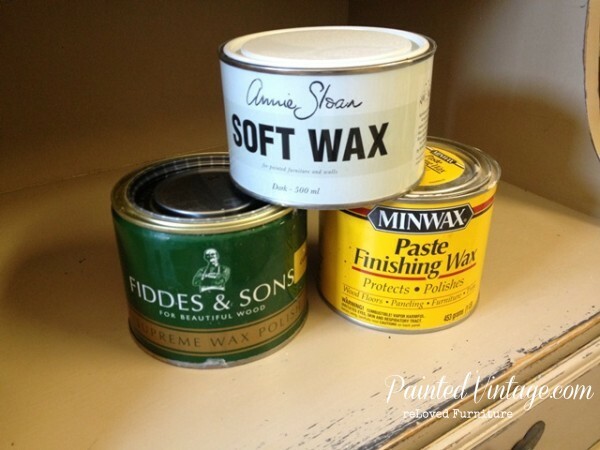 However, applying wax over chalk paint is the most challenging, labor intensive and time consuming aspect of painting furniture with chalk and chalk-style paint. Granted, not all waxes are created equal. Some waxes are downright difficult to work with and even require you to take a special class on proper application techniques. 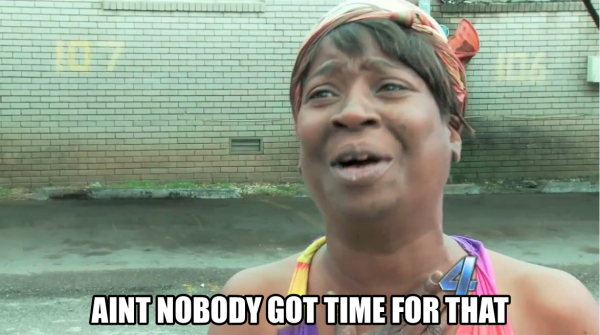 Then there’s the durability issue. Yes, I have an issue… Wax only offers minimal protection and wax is NOT permanent. Nor is it even semi-permanent. In fact, if it was a hair dye, it would be temporary!! You see, wax wears off over time with use, leaving your beautiful chalk painted furniture all porous and exposed; a magnet for chocolaty little fingers and cheese puff smudges! In order to maintain continued protection, wax needs to be reapplied every few months! Re-apply paste wax over chalk paint every few months?? But wax isn’t THE ONLY option! Why not go with a water-based polyurethane sealer, such as Varethane or Polycrylic over chalk paint? These products are an excellent alternative, and offer far superior protection than a wax. A few coats of polycrylic will last YEARS beyond a few coats of wax, and can be much easier to work with. Plus, polycrylics are more chemical resistant and are not heat sensitive like wax. 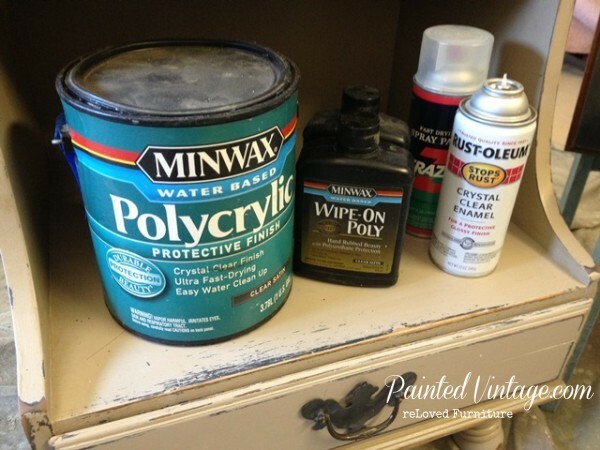 And unlike wax, if you ever chose to repaint your furniture, the polycrylic does not need to be 100% completely removed. Don’t get me wrong, polycrylics are not without drawbacks. With the ease of application, I am finding water-based polyurethanes to be my go-to finish of choice over chalk painted furniture. And if you are looking for a good alternative to do-it-yourself chalk-style paint, read my post on an Not So DIY Chalk Paint Recipe. I’d love to hear your feedback! What is your sealer of choice over chalk paint and chalk-style paint on your reLoved furniture, and what, if any, challenges do you face? Still have questions?? I posted an update with answers to all the most commonly asked questions I’ve received. Filed Under: Chalk Paint, Featured, Painting Tips and Tutorials Tagged With: Chalk Paint, How To, Painted Furniture, Paste Wax, polycrylic, soft wax, wax or poly over chalk paint? Thanks so much! I’m just starting out in the shabby world of furniture painting and need the best advice when it comes to finishers and waxes and I got it from you, here. 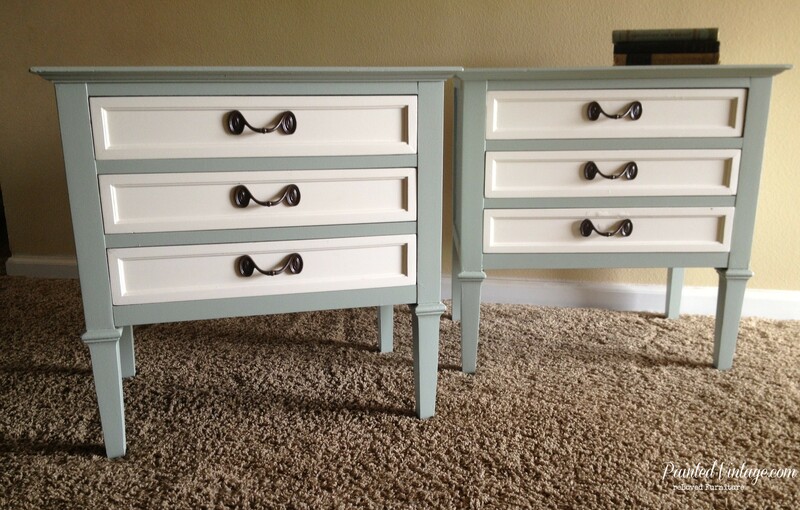 I am refinishing my vanity in linen white chalk paint from rustoleum. They didn’t have the Varethane at my Home Depot so I grabbed the Wipe on Poly. After reading more, everyone says it yellows. What heavy duty top coat can I use over it besides wax that won’t yellow? Or should I just try and find the Varethane at a different store?